Sun. 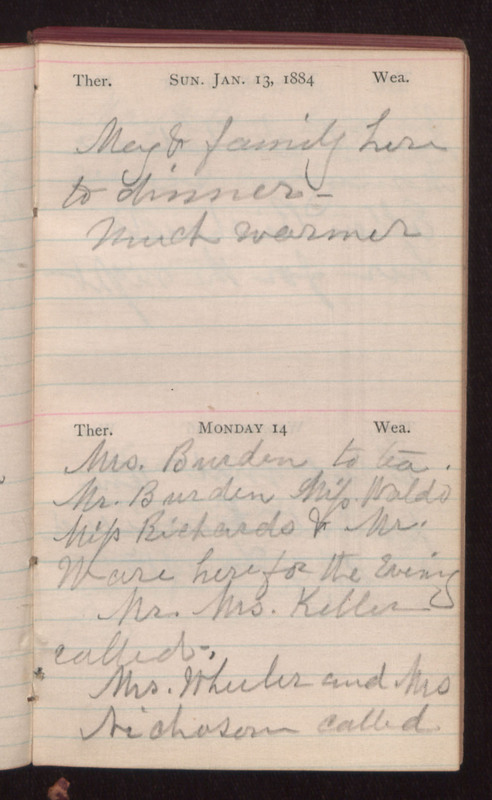 Jan. 13, 1884 May & family here to dinner - much warmer Monday 14 Mrs. Burden to tea. Mr. Burden Miss Waldo Miss Richards & Mr. Ware here for the evening Mr. Mrs. Keller called. Mrs. Wheeler and Mrs Nichoson called.